Established by Craig and Ed, Northedge Photography Ltd covers all aspects of photography for your business or event. "Our aim is to create powerful and striking images to ensure your business will stand out and be noticed." With a combined 30 years of photographic experience specialising in sports, PR, commercial and event photography, we can produce the images you require to showcase your business. Katie started working for Northedge Photography in October 2018. Her previous work was in theatre where she enjoyed creating beautiful imagery through storytelling. Katie now assists in developing the business side of Northedge Photography. Craig and Ed have had images used in company portfolios, books, magazines, online and newspapers around the world. Having covered a whole range of events from grassroots football to FIFA World Cups, Olympic Games and The Ryder Cup to name but a few, you can be assured of the highest level of commitment and the very best photographic service. Our services and why choose Northedge Photography? Photographs help you and your business sell your hard work, your story, your journey. We're proud to provide a full range of commercial and industrial photographic services. Our aim is to help you advertise your business with images that not only promote your business but enhance its potential. Through our photography we aim to make your business stand out and be noticed, working to your brief to bring your ideas to life or by offering guidance and ideas of our own on how best to visualise your brand. Our approachable and friendly nature provides you with the time and opportunity to relax and enjoy the experience and allows us to capture the natural moments that best reflect you and your business. Our prices start from £150 and include all aspects from initial consultation through to the delivery of the end images. The price we quote will include our expenses, the time onsite photographing, image post production and delivery of high resolution images suitable for print and low resolution for online and social media use. Our turnaround is within 24 hours but we are also equipped and able to provide you with images instantly should you require. Whether you're requiring photography of your products, premises or staff to accompany your marketing and press releases, or if you would like corporate events captured or images for advertising material, please contact us to discuss further. feel free to contact us if you would like to discuss a project or simply say hello! A small selection of our photographs showing action from the Premier League. Photography for Yorkshire based commercial furniture manufacturers GB Projects for their new website. Photography, video and drone footage to be used in a presentation for UEFA Champions League strategic company Team Marketing. Production photography for Cafe Society Swing at Royal Stratford East Theatre, London. Staff profile photography for work-at-height specialists Access North at their West Yorkshire HQ. Capturing both external and internal images of operational warehouses located in London and Manchester. A small selection of boxer profile photos in the build up to their next fight. Coverage of ESL One Birmingham, the first Dota 2 Major held in the UK. A selection of Ronnie O'Sullivan winning the Betway UK Snooker Championship. A small selection of our photographs from both domestic and international rugby union. A small selection of our photographs from the Betfred Super League XXIII season. Production photography for Offside at Carriageworks Theatre, Leeds. Capturing the office environment of Mirfield based creative digital agency The Bigger Boat. A small selection of our photographs from the 2017-18 Premier League season. Photography of their recent design and installation of Pyronix HIK Vision showroom, Doncaster. Photography of their operational machinery, working environment and personnel. A recent selection of portraits produced for websites, brochures and press releases. Production photography during the final dress rehearsal of Grandad's Island at York Theatre Royal. Capturing the workflow, production and day to day working environment at Alatas UK's engineering workshop in Bradford. Capturing the brand, procedures and office environment for ResponseTap in their Salford Quays office. Photography for Savills around three of their central London redevelopments. 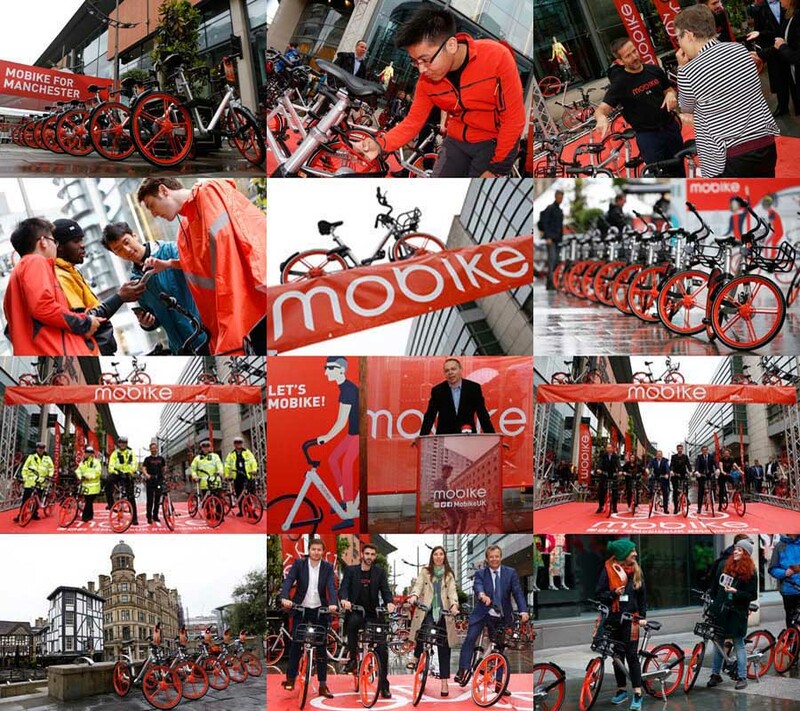 Photography of the launch of Mobike in Manchester. Photography for York based company Harrisons Signs for their new website. Photography of the Huddersfield based Scriba PR team as they settle into their new office space. Photography for Leeds based Cascade HR and their expansion into additional office space within One City West. Photography for Vantage Spaces following their installation of high quality office greenery in recent projects around Leeds and Manchester. A recent selection of staff headshots produced for websites, brochures and press releases. Jordeson Timber wanted to document a cargo ship of their timber being unloaded through still imagery and time-lapse photography.